Tracking down your family’s history can become overwhelming fast and this is usually when people become frustrated and put the work to the side. When you get to this point, select just one of your ancestors who pique your interest and follow that path. Uncovering this ancestor’s life will rekindle your excitement and you will be longing to share your findings with the rest of the family. 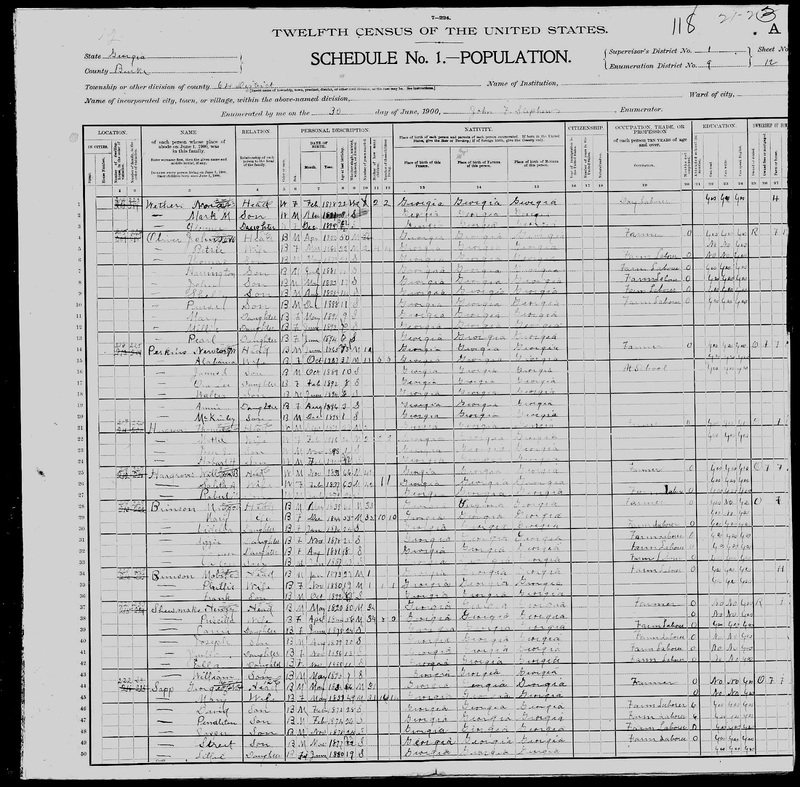 The U.S. Census records are where most family historians begin their research. The excitement felt when discovering your relative's names among the many listed is contagious. Your more ardent genealogist is now waiting for the April release of the 1940 census data. The population records from any given decade can only be made public after 72 years of confidentiality, this in accordance to Title 44 of the U.S. Code. The U.S Census Bureau is a branch of the U.S. Department of Commerce whose mission is to gather and provide quality data on the nation’s people and its economy. One such data set is that of Population and Housing Census that is collected every 10 years. These data affects how government funding is allocated to communities for things such as education, public transportation, new roads, services for the elderly, among other things. We genealogists find it to be quite an insightful compilation. If you would like to use US Census Data in your genealogical research, here are seven tips. Generally finding Street and his family in the census records would have been enough. But deciding to look at the original document and taking note of the families that reside in close proximity to my Sapps, I noticed that the family of Street's future wife, the Shumakes was listed right after his family. Now this indicates that they grew up right next door to each other, or at least the next property over, as the houses then were not always as close together as they are today. I also know that the Sapps were big landowners, so it is likely that the Sapp and Shumake properties were adjacent. Never stop with the families that are in close proximity, I have found other future spouses a couple pages over in other census records. It is understood that during this time, most people only marry as far as they could walk. One of the most common mistakes in these census records is the misspelling of the names, the surname as well as the given name. Most often the census taker would just ask the name and write it the way he believed it to be spelled. Often those being documented could not read or write and therefore not able to provide the correct spelling of their name. On this record the Shumake name is misspelled. Was it because of the attitude of the census taker or because Henry didn't know how to spell his surname. The fact that the Shumake surname was misspelled could indicate to me another story. It may tell me a bit about the socioeconomic status of Henry and his family. The Shumakes could have been working on the Sapp land. This is possible because they are listed next to each other. On this particular record, you will see that Henry (Shewmake)Shumake was a renter and George Sapp was an owner. They are both listed as farmers. It is known that the Sapps owned a great deal of land in Jenkins and Burke County. For African Americans this information seems to be a bit interchangeable, therefore it is not always reliable. On this census George Sapp and his family are listed as Black. On the 1880 census, George is listed as White or Mulatto, it is really hard to read. His wife and children are listed as mulatto. I know that George was White and his wife Mary Perkins was mulatto with a black mother and white father. Most of their children could pass for white, with strong Anglo-saxon features and skin color. In my sample here, it says that George and his wife Mary could not read or write but all of their children could both read and write. Now I don't believe that this is a likely situation. First, George was white, and a landowner, so I want to believe that he could read and write. It is also unlikely that all of the children were literate with illiterate parents. It states that Henry and his wife Priscilla could not read or write and all of their children were the same except his oldest daughter Carrie. This is likely for obvious reasons, but I also know that Henry was a slave, which makes it even more likely. 6. Place of Birth. Parents place of birth. This information will often give you some insight into the family background of your ancestor. Especially if your ancestors were once slaves and possibly sold from another area or state. 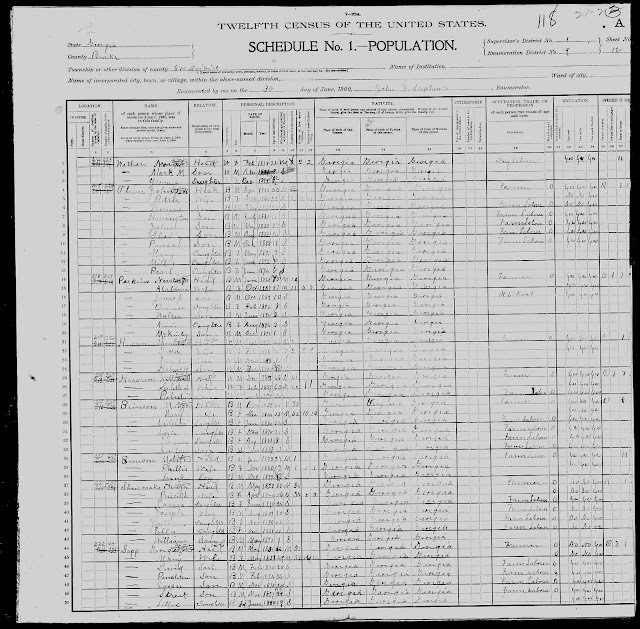 This census was taken June 30th, 1900. Most census information is gathered during the summer months. Knowing the date the census was taken will often clear up the ages of those listed, as well as those that are not listed. When a child is not listed and you know that the year the census was taken is the year of their birth, this would indicate that their birth month is after the month the census was taken. Don’t think that the census is conclusive. Many people make that mistake because they see it as some sort of authoritative documentation. It is an important piece of research but it is in no way conclusive. There are many mistakes made by the census takers and even more when those census details are later transcribed. However, it is a great place to start.